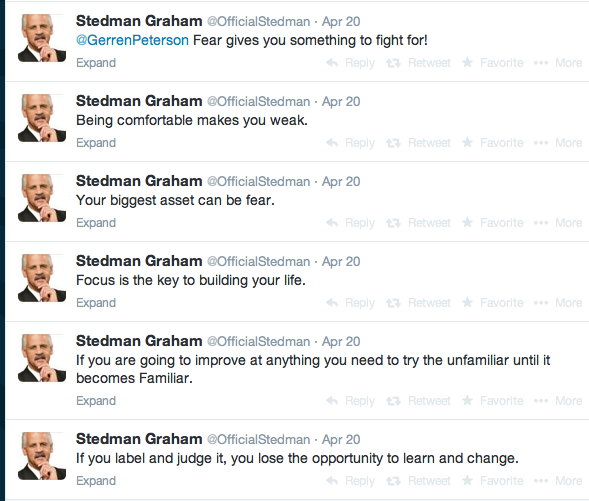 Have you ever read Stedman Graham's tweets? They are filled w/ everyday platitudes that will leave you feeling like a hollow tree. Listen Stedman, the only thing we want to know from you is: How were you able to hook up with Oprah? Is the life of a billionaire's beau everything we imagine it to be?